The allure of Las Vegas got the best of me, again. 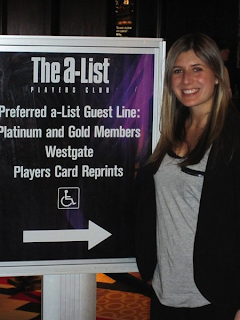 The A List will be leaving her new condo life for a weekend in Sin City with her birthday boy. The casinos, the restaurants and the sun will have to take priority over blogging this weekend. Oh, and did I forget to mention it's Halloween? All the reality stars are heading down to host their parties and I have a feeling I'll be able to spot Snooki and the Situation getting their GTL on in the hotels. For updates, don't forget to follow me on Twitter. Happy Halloween!